I hope Palladium’s USA gamers had a wonderful and long Independence Day holiday weekend. Mine was to die for – that’s a Rifts® Vampire Kingdoms reference, as I spent 30 hours writing away Saturday through Monday. Right now, it feels like organized chaos at Palladium Books. We are all hopping busy and stressed to the max as we try to get new books to the printer, get ready for Gen Con Indy and take care of Alex and business. The trick is to do it and try to remain sane and positive at the same time. Yikes. Wayne and I met with Carmen Bellaire briefly. We rented the truck for Gen Con. We picked out and ordered the carpeting for our Gen Con booth. I finalized all the Gen Con booth arrangements. We set up our Gen Con display in the warehouse and figured out what we’re taking and how to showcase it. I took care of business insurance renewals. And got in about 5 hours of writing. I got in early and did 4 hours of writing. Took Alex to the clinic for his latest treatment. Came back and wrote this Weekly Update. Handled a bit of business. Helped Wayne with the Rifter® #55 which is in final layout. As you read this, I’m back writing. UPDATE: Alex. There has been no change in his condition yet, though his face is not looking as flushed as it had. Alex is taking his meds, seeing doctors and trying to do everything he can to beat this disease. I took him to his latest blood treatment just this afternoon. For those of you who missed the last Weekly Update, Alex has a blood disease called Polychromasia. His blood is too thick and that creates a danger of blood clots and causes exhaustion, heightened anxiety, and other problems. It has been a rough week for Alex, but his attitude and outlook are both positive. Heck, I think he’s handling his illness better than I am. UPDATE: Alex’s house. I checked on the ol’ homestead on Tuesday and it looks marvelous. You’d never know there was a fire. I think the interior painting is being finished today. Carpeting should be installed tomorrow or over the weekend. There has been a delay with the final electrical work (installation of outlets, switches, covers and a couple ceiling fans), but that should be finished on Monday. Then, it’s a matter of getting the Certificate of Occupancy. If getting the permit goes without a hitch, Alex and family should be able to start moving back home by next weekend. I sure hope so. It has been a long haul and Alex could use the break. UPDATE: New titles coming soon! Books should start coming one, two, three this month. The Rifter® #55 goes to the printer tomorrow (Friday), the “New and Improved” Rifts® Vampire Kingdoms™ (that’s what I’m calling it now) goes next, and Rifts® Lemuria immediately after it. We anticipate having copies of all three at Gen Con. UPDATE: Robotech® New Generation™ Sourcebook. I approved Apollo Okamura’s color sketch for the cover and he should be working away on it. This is the NEXT new book to go to the printer in August. The Rifts® Vampires Sourcebook™ and Megaverse® in Flames follow it. UPDATE: Online Sales. Sales remain up and down. As predicted, Fourth of July weekend sales were lousy, but they have picked up the last couple of days. New books are coming. Get those pre-orders in for The Rifter® #55, Rifts® Vampire Kingdoms™ and Rifts® Lemuria! UPDATE: Back in Print: We are planning to bring several titles back into print, including Mutant Underground™ for Heroes Unlimited™, Xiticix Invasion™ for Rifts® and the out of print titles in the Coalition Wars® series over the next month or two. Maybe even in time for Gen Con. UPDATE: Rifts® Vampire Kingdoms™ – New and Improved. I have added so much new material, rewritten and improved upon the original material so much, that I’m calling it “New and Improved” instead of Expanded and Updated. The latter is still the official title, but this book is virtually new and certainly improved. I think you are going to love it. I’ve talked about it enough so I’m going to leave it at YOU WANT this book. Place your pre-orders now! UPDATE: The Rifter® #55. Editing is done and Wayne is laying out the book to send to the printer tomorrow morning. It’s another fun issue you will not want to miss. Includes some extra material for Thundercloud Galaxy, and other good stuff. As always, we are looking for new contributors to future issues of The Rifter®. Next issue is the October “Horror Issue.” Send in your submissions now and you could be in that issue. 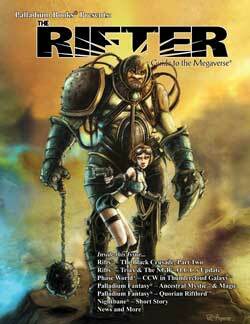 The Rifter® is designed to publish “fan” created source material, so what are you waiting for? Send us your 8-25 page articles. 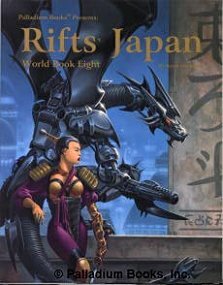 UPDATE: Rifts® World Book 32: Lemuria™. The finished artwork is starting to come in and is looking outstanding. I dive into this book the second I’m done with Vampires Kingdoms. UPDATE: Robotech® New Generation. 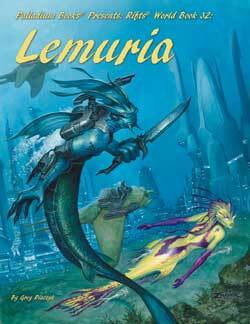 This is the book that will follow Rifts® Lemuria. We’re starting to put things in place for its production and release right now. I approved the color cover sketch this week and Apollo Okamura is working on it. Not only that, but we hope to release one additional Robotech® title by the end of 2011, and the Robotech® Marines book is not dead. UPDATE: DriveThruRPG.com Christmas in July Sale is Coming: It’s a couple weeks away, but I was afraid I would forget if I didn’t mention it now. Palladium Books PDF titles and other publishers will be at a discount price from Monday July 25th to Monday, August 1st (ending 10am EST). 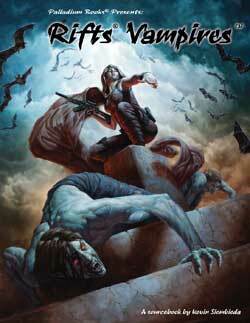 Rifts® Vampire Kingdoms Sneak Preview should be available as a FREE download by the end of next week. 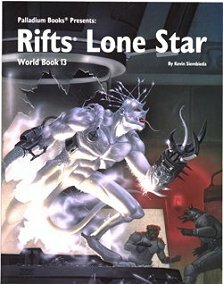 Don’t forget, The Rifter® Number Zero and Hades Map Pack were recently made available on DriveThruRPG.com. DriveThruRPG offers more than 90 out of print titles (and a few that are not) as PDF downloads. 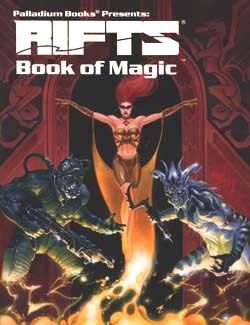 It is a good resource for getting The Rifter® #1-48 and to fill in your RPG library with first edition copies of Rifts®, Palladium Fantasy®, Heroes Unlimited™, and other game lines, as well as books such as Nightbane® Book Four: Shadows of Light™ and both versions of the The Mechanoids® RPG (1985) and The Collected Mechanoid Invasion® Trilogy (1981-1983). We’ll be there, how about YOU? If you or a friend is going to Gen Con Indy, please stop by to say hello, get books autographed, and to buy the latest releases, back stock titles, some out of print books (like Ninja Turtles® RPG titles, Rifts® Ultimate Gold and others), collectibles, original artwork, T-Shirts and other goodies. The guys and I are happy to sign books and chit chat for a little while with everyone who swings by the booth, so come on over and join the fun. 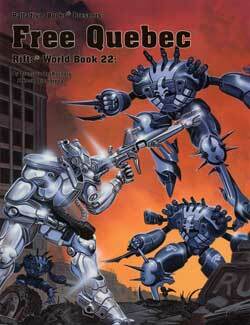 Give us a helping hand by spreading the word that Palladium Books will be at Gen Con Indy. FYI: I don’t think there are any “official” Palladium gaming events on the schedule but there are always a bunch of “unofficial” games. UPDATE: Facebook Page. Sorry, I haven’t been on Facebook much lately (or Murmurs from the Megaverse). My plate has been very full with writing vampires and Lemurians, as well as helping Alex and getting ready for Gen Con. I’ll try to drop by Facebook and do a Murmur or two today and over the weekend. UPDATE: Palladium’s website. Things continue to be going smooth for a while now, but you may see some hiccups as Thom and Rex have a couple of updates in development over the next week or two. QueenofGhouls.com – One of Kathy Simmons’ customers loves her Halloween “ghouls” so much, she has two of them set up in her house, sitting at the dining room table, year round. I kid you not. Apparently, visitors adore them. Kathy continues to whip up new creations with more life size Halloween props going up this weekend. The Queen of Ghouls has plans for more zombies, skeleton pirates, wizards, werewolves and monsters in the weeks to come. Halloween is creeping up fast. Behind the Scenes Report: I’ve revealed everything that’s been going on this week. Right now were in convention mode and trying to get those darn next 3-4 books into your hands! Another Cool Convention: Palladium expects to attend the Detroit Fanfare, September 24 & 25 at Cobo Hall, downtown Detroit. One of the guests is Kevin Eastman – co-creator of the Teenage Mutant Ninja Turtles®. So this fun comic book and media convention will be a great chance to get your Ninja Turtle® game books (and comics) signed by one of the creators. It’s the first time Kevin has been to my home town of Detroit, so I’m afraid I’ll be a fan boy lugging a pile of TMNT RPG books for him to sign. We’ll be selling some TMNT books there too. Maybe I can get Kevin to swing by the Palladium offices while he’s in town. That’d be fun. Other guests include fan boy favorite actor, Bruce Campbell, and dozens and dozens of comic book guests. Palladium fans may be interested to know Dave Dorman (Palladium cover artist), Tim Bradstreet, and pal, Defiler and Palladium contributor of old, William Messner Loebs will also be attending, among any others guests. I’ll keep you posted as we firm up the details. Keep those imaginations burning bright and visit us at Gen Con Indy in August, and Detroit Fanfare in September, right here in Michigan.